There’s nothing worse than framing the perfect shot, only to find that your camera has run out of battery. High-performance batteries are the key to ensuring that your camera is always fully powered up and ready to capture award-winning shots, precious family moments, and everything in between. We offer a full range of batteries from leading manufacturers such as 2-Power, Canon, Fujifilm, Logik, Monster, Nikon, and Duracell. Whether you’re looking for rechargeable batteries, alkaline batteries, or lithium batteries, our range of Duracell batteries will cater to your needs and bring your camera to life. 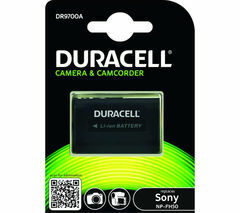 As well as standard batteries, Duracell also produce specialist camera batteries that have been designed to meet the specific power demands of camera work. 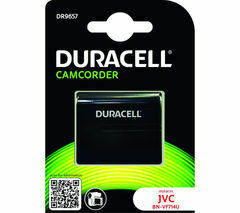 Duracell DL123A/CR123A/EL123A Ultra Photo 123A Lithium Camera Batteries have been created to ensure that you always have enough battery life for the next unmissable shot. If you’re a frequent photographer, rechargeable batteries offer a quick, easy, and cost-effective way to ensure you don’t ever run out on juice. The Duracell CEF27 45 Minute Charger with 2 AA Batteries and 2 AAA Batteries will allow you to charge your AA and AAA batteries in just 45 minutes, and is a great way to make sure you always have a Duracell battery or two on hand. Now that you have your batteries to take your shots, it’s time to make sure your photos are the best they can be. Check out our range of camera bags and cases, lenses, and other photography accessories to complement your camera.